Why diamonds when you have platinum? Ace Group has always worked for a better future of the real estate industry by setting benchmarks of amazing work. For them, the customers have always been the utmost priority which gives them the reason to work harder and in a truthful way. The company has always maintained the transparency and has always kept it real in front of their clients. The company has delivered extravagant infrastructures from many years and has always made it possible for the buyers to own them in the most affordable way. 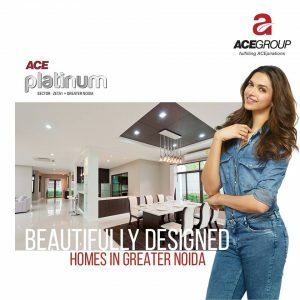 One of the projects of Ace Group is Ace Platinum is Greater Noida which offers ready to move in 2,3 and 4 BHK lavish and affordable apartments making your life hassle free. The project is situated in the best location Greater Noida and offers lush green surroundings all over. The project is up-to-date with all the state-of-the-art facilities giving you a lifestyle full of comfort. The project also offers shopping complex, clinics and other major facilities like this making life easy and convenient. With superb connectivity between Noida and Delhi, the project also has offices, security, lifts, clubhouse and various other similar facilities to make life hassle free. Ace Platinum, Greater Noida welcomes you in a life full of peace, freshness and extravagance giving you a reason to make every second worth celebrating. With greenery all around, the project will give you a vibe so positive and beautiful, that you would not want to step out of your private space.